Click here to watch Mark Levin’s FREE show on LevinTV regarding the left’s efforts to take down President Trump and to distract from the real collusion and lawlessness of Hillary Clinton. Normally you have to be a paid subscriber, but Mark wants everyone to see this on the Silent Coup created by unelected bureaucrats in the FBI to unseat a duly elected president. You do not have to be on Facebook to watch this. Here is the link. Once you’ve seen it pass it on to your list of people. This is real live history! Mark Levin does it again. This time it’s a no holds barred take-down of our Senate Majority Leader Mitch McConnell. If you wonder why the Republican Congress can’t seem to get anything done it’s largely because the leader of the Senate, Mitch McConnell who controls everything legislative in the Senate, only cares about holding on to his personal power. Levin is treating the public to another “in front of the pay wall” episode of Levin TV where he lays out the reason for the failing Republican Congress. Enjoy this free episode right here. If you like this and want to see more of CRTV, consider subscribing here. Be sure to ask about discount for military and first responders. If nothing else this election go-round I think it’s safe to say we’re all pretty much over it when it comes to the alphabet news outlets twisting the truth to serve their liberal, prog goals and even cable for that matter. All the guests shouting over each other. Fair & Balanced -ha! Maybe at one time, but not so much anymore. CRTV launches next month. It’s a totally new platform -digital TV. Here’s your solution. CRTV.com. Pre-order now (limited time offer) for the special price of $89. I even have a promo-code for a $79 subscription if you email me (Dare2Kerr@gmail.com) and time hasn’t run out, I’ll send it to you. Hat-tip Mark Levin for pointing this out on his radio show yesterday, though it’s from ConservativeReview.com. As you may or may not know all or most of the newly elected or reelected Senators last November campaigned on two major issues: repealing Barrycare and stopping Obama’s illegal & unconstitutional executive amnesty. Of course we all know where that’s going and here’s why. Bait & Switch; politics over principle or don’t fight now, fight later. Example: AR-R Senator Jeff Flake (how fitting), admitted to lying when he was asked if he would honor his term limit commitment made when he ran for election. Show Me The Money; votes win elections, money is needed to get votes and special interest has lots of money. Fear; instill fear in the voter. You don’t want a Democrat in office, so no matter how bad I turned out, you will vote for the RINO (how many times have we all done this??). Governing; code for capitulation. 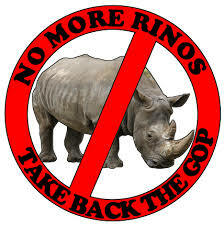 Anyone using this word is likely a RINO. Double Standard; they moan about conservative primary challenges, but 2 years away from their next election they will spend million$ bashing conservatives as the far-right fringe of the party, whack-o birds, etc. Me Too; RINOs claim to agree with Democrats with only moderating differences so they appear socially acceptable and not extremist, and they both end up on the same side, the RINOs just take longer to arrive at the liberal destination. Pragmatic; code for “not conservative”, the implication being conservatism is ideological while liberalism is just plain reality. This gives RINOs cover to accept the liberal world view. “We must have highways & bridges, therefore the pragmatic thing is to raise the gas tax”. The pragmatic question is how much the gas tax should be raised, never “should we put states in charge of funding their own highways and abolish the federal gas tax”? Preemptive Surrender; McConnell & Boehner both announced right after the sweeping mid-term victory they would not under any circumstances shut down the government signaling to the Dems loud & clear they can hold firm and not negotiate. So pay attention and when you spot these behaviors you know you’re dealing with the RINO establishment. If you aren’t sure check Conservative Review’s Liberty Scorecard -the lower the score, the odds are your member is a RINO. Once again Mr. Levin nails it! If you would like to hear more straight talk like this tune into Mark Levin’s radio show. Listen to the show for about 2 weeks and I guarantee you, it will get your mind right! Hat-tip Mark Levin for sharing this story on a recent podcast in a Memorial Day tribute. With all the picnics, barbeques, going to the beach, etc., on this holiday it’s easy to lose the significance of Memorial Day but we should all take a little time to honor those who have died for our freedom and all those serving in the military today and especially our returning veterans. 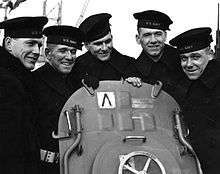 Mark Levin recounted the tragic story of the five Sullivan brothers who enlisted in the Navy together on January 3, 1942 and requested to serve together. All five were assigned to the light cruiser USS Juneau and all five lost their lives during the Battle of Guadalcanal nine months later. According to Wikipedia, the brothers’ parents were notified of their deaths on January 12, 1943. That morning, the boys’ father, Thomas, was preparing to go to work when three men in uniform – a lieutenant commander, a doctor and a chief petty officer – approached his front door. The “Fighting Sullivan Brothers” were national heroes. President Franklin Roosevelt sent a letter of condolence to Tom and Alleta. Pope Pius XII sent a silver religious medal and rosary with his message of regret. The Iowa Senate and House adopted a formal resolution of tribute to the Sullivan brothers. Partly as s a result of this tragic loss the Dept of Defense initiated the Sole Survivor Policy describing a set of regulations in the U.S. military designed to protect members of a family from the draft or combat duty if they have already lost family members in military service. Please take some time to remember our fallen heros on this Memorial Day. What’s All The Buzz About Article V? “The Congress, whenever two thirds of both houses shall deem it necessary, shall propose amendments to this Constitution, or, on the application of the legislatures of two thirds of the several states, shall call a convention for proposing amendments, which, in either case, shall be valid to all intents and purposes, as part of this Constitution, when ratified by the legislatures of three fourths of the several states, or by conventions in three fourths thereof, as the one or the other mode of ratification may be proposed by the Congress . . . “. The most important part is after the first “or” because the 2nd prescribed method for amending the Constitution does not need to be voted on by Congress! 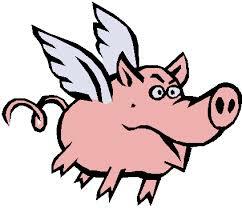 This is important because if you believe Washington D.C. (District of Corruption) is going to fix itself, then you believe pigs can fly! That should keep you busy and I’ll catch you on the rebound. I’ll also include photos of the capitol of California and other sites encountered!